the missing will present four film and video works, beginning with The Attendant (1993) by Isaac Julien and The Last Clean Shirt (1964) by Alfred Leslie and Frank O’Hara, and ending with Domestic Tourism II (2009) by Maha Maamoun. A temporary installation of Mungo Thompson’s 2002 video The American Desert (for Chuck Jones), from MOCA’s permanent collection, will be presented during the 30-minute intermission. the missing is part of a series of programs presented in conjunction with storefront: Public Fiction: The Poet and The Critic, and the missing. Priority tickets are available to MOCA members one hour before the program at the MOCA Box Office. Fifteen minutes before the program begins tickets will be released to non-members. One ticket per person on a first come, first served basis. Early arrival is recommended. 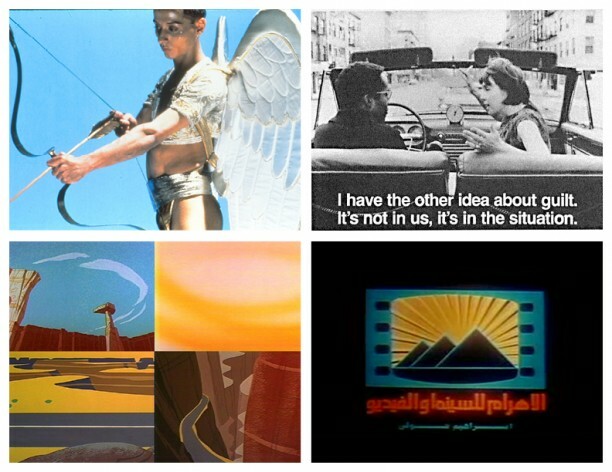 ​the missing will present four film and video works, beginning with The Attendant (1993) by Isaac Julien and The Last Clean Shirt (1964) by Alfred Leslie and Frank O’Hara, and ending with Domestic Tourism II (2009) by Maha Maamoun.